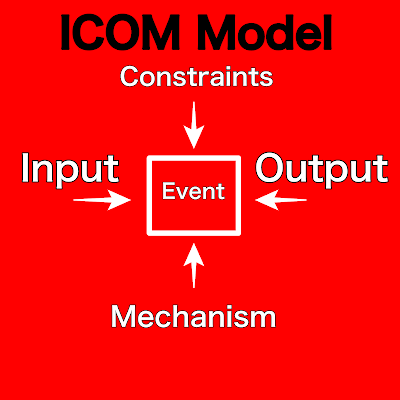 One of the best frameworks for creating a successful event is by using the ICOM Model. 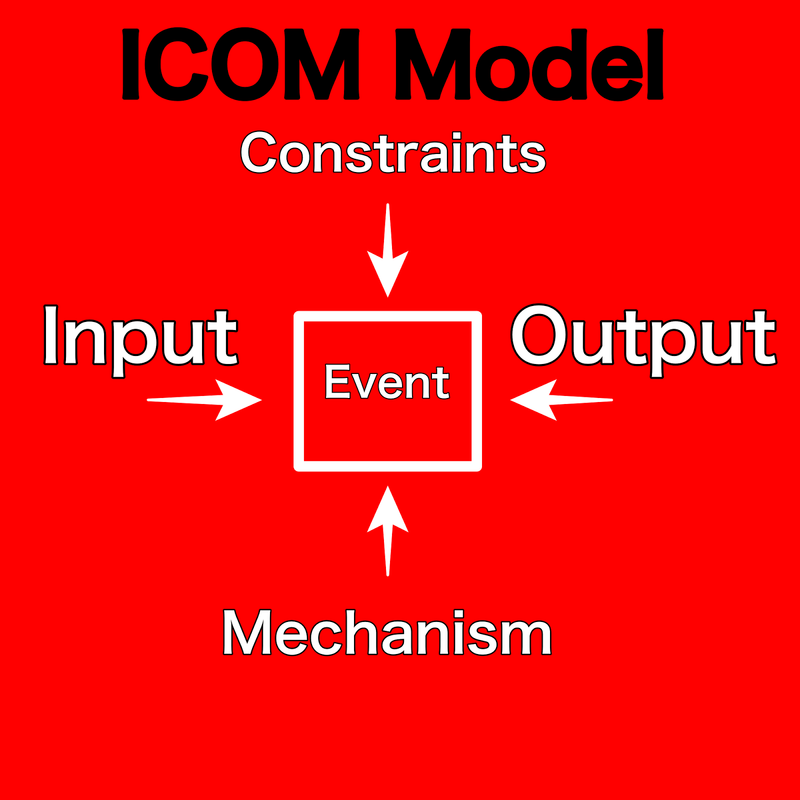 The ICOM Model is used in project management, and since events are project, beginners or masters of creating and producing events will greatly benefit from using or considering the ICOM Model. Events start with the clients narrating their wants and needs. This is the input. I always asked my clients about these two elements, without knowing this, you will be at a lost when you start implementing the event. The inputs of your clients or stakeholders are important, in the input the event objectives and expected results are enumerated. INPUT’s other important elements besides the objectives are the Scope of Work. The reality is that events are like the heartbeat we see in the emergency rooms, there are peaks and valleys. The life of an event manager is not a straight line, we are in a business to solve and arrive on immediate solutions to problems and impediments that prevent the event from becoming successful. Indeed, we cannot escape encountering constraints. Some of the event constraints are financial (budget), time (deadlines), legal, environmental, and quality just to name a few. The good news about identifying the constraints is we are able to be better prepared and take action more wisely. In addition, we are able to adjust the objectives, wants and needs of the client because of these constraints. In other words, we are able to avoid promising the stars or the heaven, we are able to commit to them what is realistic and doable. But of course, I always subscribe to under promise and over deliver dictum. This is the signpost that I wanted you to consider after surveying the constraints and relating it to the inputs of the clients. How do you achieve the objectives? In achieving the objectives, you need mechanisms to move it forward. The mechanisms are the people, knowledge and expertise of suppliers and talents, capital, event tools like checklists and rules, and technology. Of course, you can still add more, if you think they are mechanisms that will allow you to move forward the event closer to the desired input. We are now going to the most important part of the event that is the output or results. Have you achieved and satisfied the client’s desired objectives, needs and wants? I always talk to them and conduct surveys in order to know if the output passed their expectations. In conclusion, the ICOM Model in Event Management is an effective framework in creating a successful event and becoming a successful event manager. It provides you a clear direction on what critical success areas to consider. It guides you in the process of making your own Key Result Areas (KRA) and Key Performance Indicators (KPI). Having said this, I hope that by applying ICOM Model you will be more confident and assured that the event you will be managing is on its way to becoming a resounding success and that you will be making your clients happy.